Heeeeeee's losin' it. And yes, this is delving into The Madness of King Scar territory, but it will go on a different tangent to that soon enough. 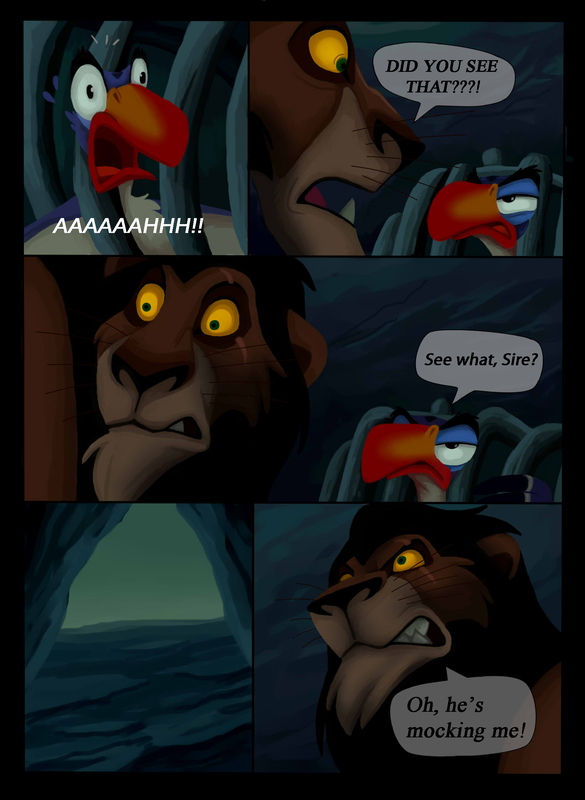 Zazu has yet another reason to doubt Scar's ability to be King...Just when he though things couldn't get any worse. does anyone else kind of get a Macbeth vibe from this comic. I know TLK was supposed to be loosely based on Hamlet, but anyone seeing a bit of Macbeth? Scar's face in the middle panel is just priceless! Probably Not, but will Scars abuse of the Roar of the Elders been shown? Oh well, still good comic so far. Another FANTASTIC page!!! I'm REALLY enjoying your comic, and CAN'T WAIT to see where it goes. KEEP UP THE AWESOME WORK!!!!! Follow the link in the description that says 'first page' and keep following the links to the next pages, they're in order. I wasn't sure about this at first. But i really like it and hope to see more. LOl! So he's getting angry at a ghost? Just what can he do about a ghost that HE killed haunting him, lol! The Lion King was my favourite cartoon. I was 5 years old when it was made. I think, i don't know...i'm from 1989. Point is, very nice comic. Scar need some guilt. Afterall, he was cruel but not a monster. Meaning, he was not able to completely live without feeling even the slightest regret for what he had done. Damn, Scar has that perfect crazed look in his eyes! If there's anything they should tackle in the reboot, it's Scar's sanity slippage. They didn't touch upon it enough in the original, as great as it was. The Madness of Scar from the Broadway play coming to life. I wonder if they'll do this in the remake. "Calm yourself, Sire, or you'll get another of your splitting headaches." 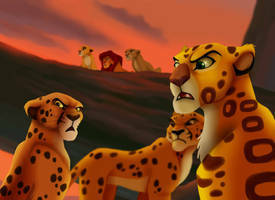 *quickly reverts to normal* "oh very well..."
No wonder why Scar is always so grumpy after he killed Mufasa. 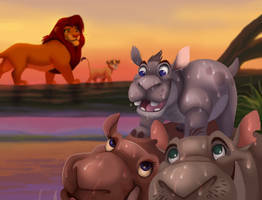 Zazu: Plus I was sleeping, how could I seen anything? Youâ€™re good at drawing Zazu. Thank you! That means a lot considering how hard he is to draw! It's interesting that Scar's madness is better touched on in the musical than the film. Though I like Scar, it's too bad he had no goals beyond getting the throne. For instance, once he conquered the Pride Lands he could have expanded. I agree. He could have tried to take over everything.